Celebrity Gossip and Entertainment News: Gwyneth Paltrow Behind Chris Martin Smear Campaign? 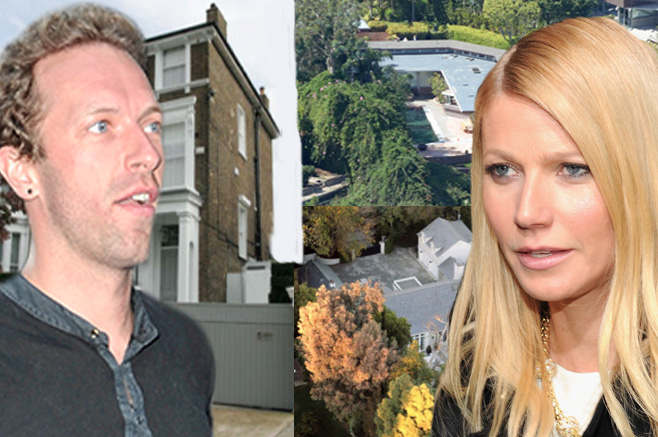 Gwyneth Paltrow Behind Chris Martin Smear Campaign? Chris Martin thinks his estranged wife Gwyneth Paltrow is behind the barrage of cheating rumors being spread about him. CHRIS Martin thinks estranged wife Gwyneth Paltrow is spreading vicious cheating rumors about him. According to insiders, Martin believes Paltrow is trying to make him appear “less sympathetic”. “Chris now believes that Gwyneth is leaking rumors about his alleged trysts in an effort to sully his image and make him look less sympathetic,” a source told RadarOnline. Paltrow and Martin are worth a mind-blowing $280 million — but the source says the GOOP founder could take Martin for an extra $25 million! “Gwyneth believes she deserves a settlement of at least a lump sum of $25 million from Chris because he is the breadwinner and their kids will live with her most of the time,” the source said. “She believes Chris should ‘man up’ and do the chivalrous thing. Friends are bracing for an ugly divorce showdown. “Friends of the of the couple point to a major double standard, with Gwyneth having pushed for open marriage so she could pursue other men, but demanding absolute fidelity from Chris.